Do you ever have to be hit over the head several times before something sinks in? This happens to me a lot. 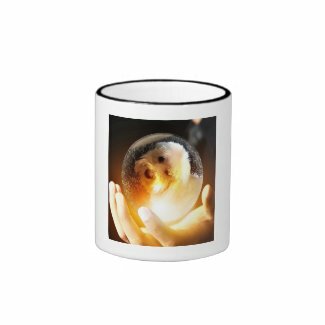 It happened recently about my Coton Store I've been thinking about updating for awhile now. 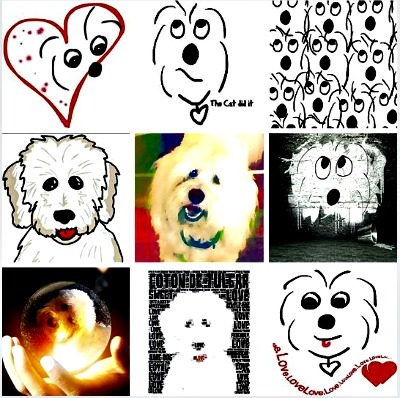 I've been meaning to add more Coton de Tulear designs to the Store (t-shirts, mugs, stationary, etc.). Yup, it's been on my "To Do" list for a couple of years. Recently, I received a few gentle nudges from the Universe and I finally got the message. 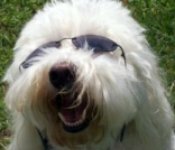 First, Gail emailed and suggested a t-shirt design without sunglasses, because after all, why would I hide the Coton's beautiful eyes? Hmmm, can't say I disagree with that. 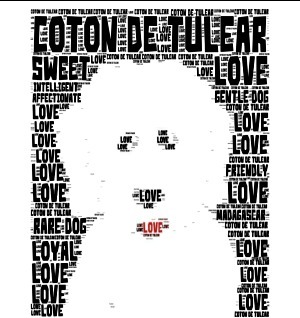 Then Julie and Catherine sent me emails asking if the word art photo on the home page could be made into a t-shirt. Why didn't I think of that? Also, I'm taking a fun cartooning class, and of course I'm using Luc as my model and inspiration. 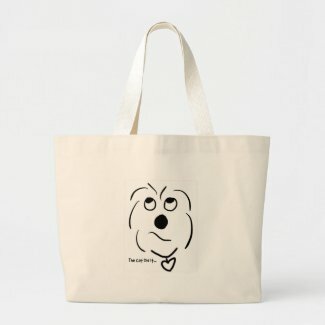 Several of my fellow students mentioned that some of the cartoons would make cute t-shirts and other products. So, I've been having fun creating some new designs in my newly revamped Coton Store. Here's a collage of some of the designs below. 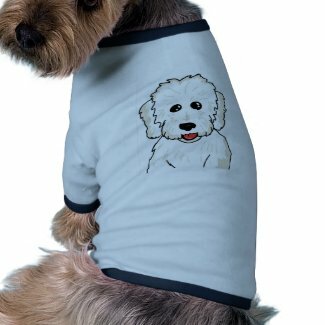 You can click here to go directly to the Store or you can find many of the products at Coton-de-Tulear-Care.com. 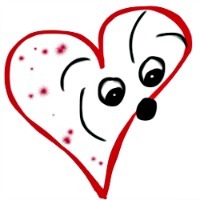 to see these designs on a variety of t-shirts, mugs, stationary, aprons, dog shirts, and much more. Please check it out. I'll be adding more soon (yes, it's on my dreaded "To Do" list). If you don't like my designs (I promise my feelings won't get hurt - much), you can replace them with a photo of YOUR own dog if you'd like. You just click on the 'Customize it' button when you're on a product page and you can change the photo or the text. Enjoy! 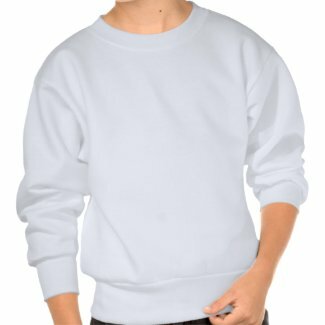 Let me know what you think or if you have any ideas you'd like me to try. And if you use your own dog as your model, show us your photos. By the way, I highly recommend learning something new and completely out of your comfort zone. I spent my entire career pretty much using only the left side of brain - spreadsheets, data, and computers. It was pretty scary taking an art class where I had ZERO skills. It made me feel vulnerable and insecure at first. But I got over that pretty fast when I realized that EVERYONE felt that way, even the skilled artists in the class. We're all insecure and hesitant when we're learning something new and the best way to get over that is to move through the fear and do it anyway. Letting go of having to be perfect is so freeing, empowering, and joyful. Learn something new today - it makes life interesting, humbling, and so much fun!